Melissa McCarthy knows how to throw herself into her comedy. Physically, emotionally, she goes all out. People who saw her onstage at the Groundlings knew it. But you didn't really see it on-screen yet. She was mostly known for playing the lovable cook and best friend, Sookie St. James, on Gilmore Girls. Then she had landed a titular role on the CBS show Mike & Molly, which won her an Emmy. In 2011 she got a part in Bridesmaids. And her horizons have only expanded from there. McCarthy's become a film star, mostly in roles similar to her character in Bridesmaids. Maybe a little crass, maybe a bit of a hot mess. 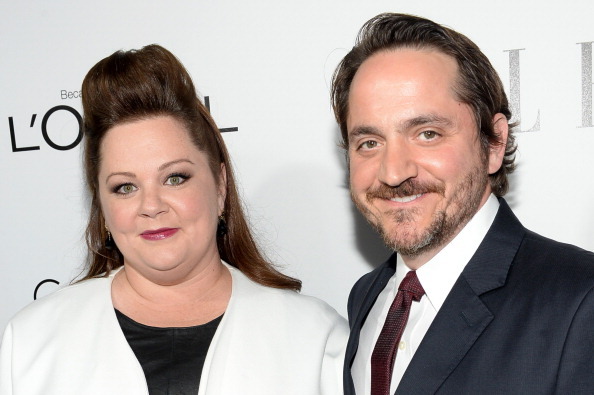 She starred in, her husband Ben Falcone directed, and they both wrote the new comedy Tammy. Tammy follows a midwestern woman whose life is a mess. So she goes on a road trip with her alcoholic grandmother, to get out of her home town for good. McCarthy and Falcone met in comedy improv classes, bonded, and eventually became partners both in business and in life. They'll talk about their high school days, including Melissa's goth phase, their fateful meeting in the Groundlings, and what it was like getting Kathy Bates to play a role that was literally written for her. Tammy hits theaters this week. Linda Holmes and Glen Weldon of NPR's Pop Culture Happy Hour stop by to recommend some of their all-time favorite reads. Glen recommends the manga series called Oishinbo, translated as 'The Gourmet'. It's about two rival newspapers competing to create the perfect Japanese meal. He suggests starting with the volume about sushi. Linda recommends The Devil's Candy by Julie Salamon, a book about the film production of Bonfire of the Vanities. Salamon was granted unlimited access to the film set. The takeaway? Sometimes folks don't set out to make a bad movie, it just kind of happens. You can hear Glen and Linda each week on the Pop Culture Happy Hour podcast, and find Linda's writing on NPR.org's Monkey See blog. Davy Rothbart, Point Guard of FOUND Magazine, shares some of his favorite "finds." He'll share some of his favorite ephemera: to do lists that include items like "hook up with Jen" and "create a circuit of pirate radio stations in the Traverse City area." 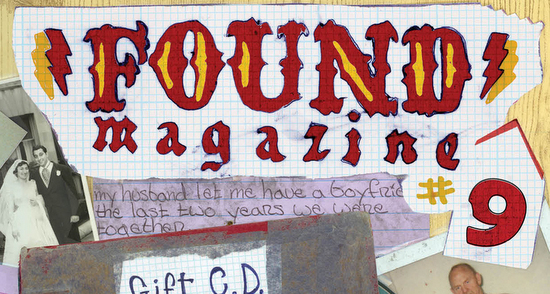 FOUND Magazine issue 9 is available now. And stay tuned this fall for FOUND: The Musical, presented by the Atlantic Theater Company. 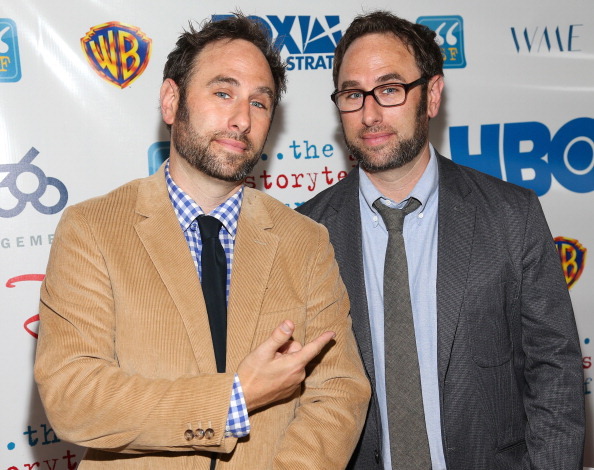 Randy Sklar and Jason Sklar are stand up comedians. They're also twins. Their work isn't about their twinness, though. In fact, outside of the two of them looking the same, they barely mention it. But it's integral to what they do. Most double acts are about contrast, the Sklars are the opposite. They diverge, they come back, and all in the service of releasing a firehose of jokes. The pair have been doing comedy together their entire adult lives. They have their own podcast, Skarlbro Country, they hosted their own TV show on the History Channel, and have racked up lots of movie and TV appearances. They'll talk about why they didn't want to do bits about being twins, why they wanted to combine comedy and sports on Cheap Seats, and how if they were part of the same person, well, Randy's the head and Jason's the heart. Their stand up special What Are We Talking About? is available now on Netflix Instant. 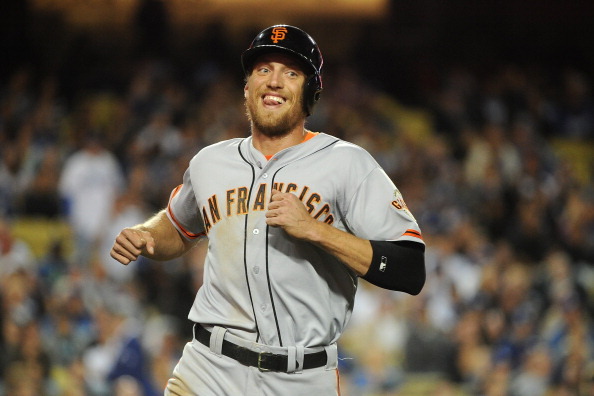 Jesse will tell you about why he loves the craziest-looking baseball player in the majors, and why you should, too.